An original Miss Brown’s Fancy costume that is in EXCELLENT condition!! 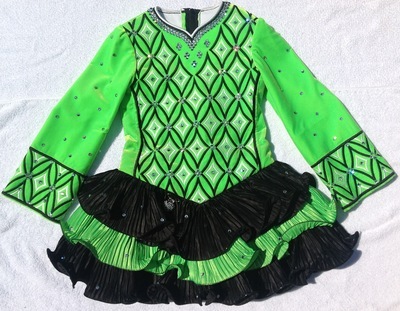 This stunning dress features a lime green velvet bodice and sleeves, with black and white geometric embroidery design. 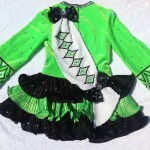 The dress has an adorable black and lime green pleated cupcake skirt ruffles with black trim. 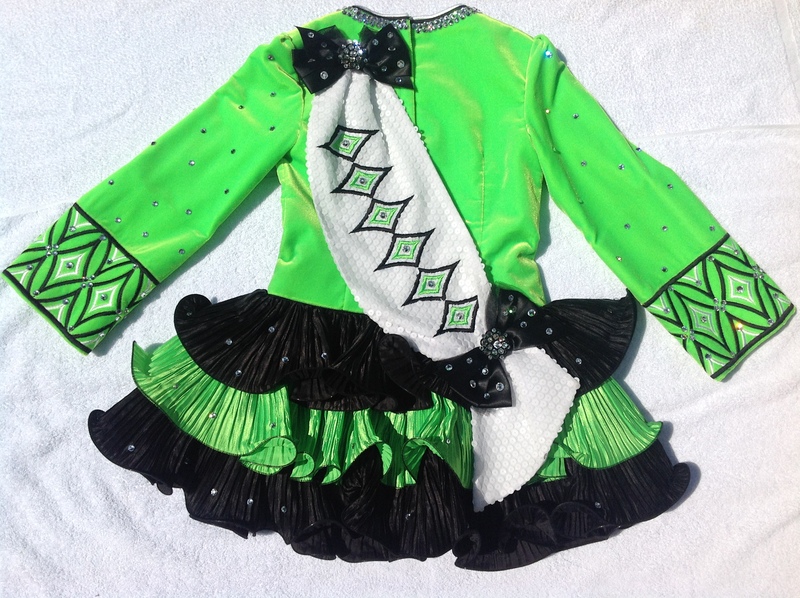 The adorable soft style shawl is constructed from sparkly white sequin fabric with matching black and lime embroidery design with black bows at each end. The skirt lining is in white, lime, and pink stripes with matching bloomers. The dress has hundreds of Swarovski crystals and comes with 2 beautiful custom made headbands. This costume has been stored flat in a non-smoking environment. Asking Price: $US800 obo. Shipping costs are included for my own country, overseas shipping is extra. Sale is final.